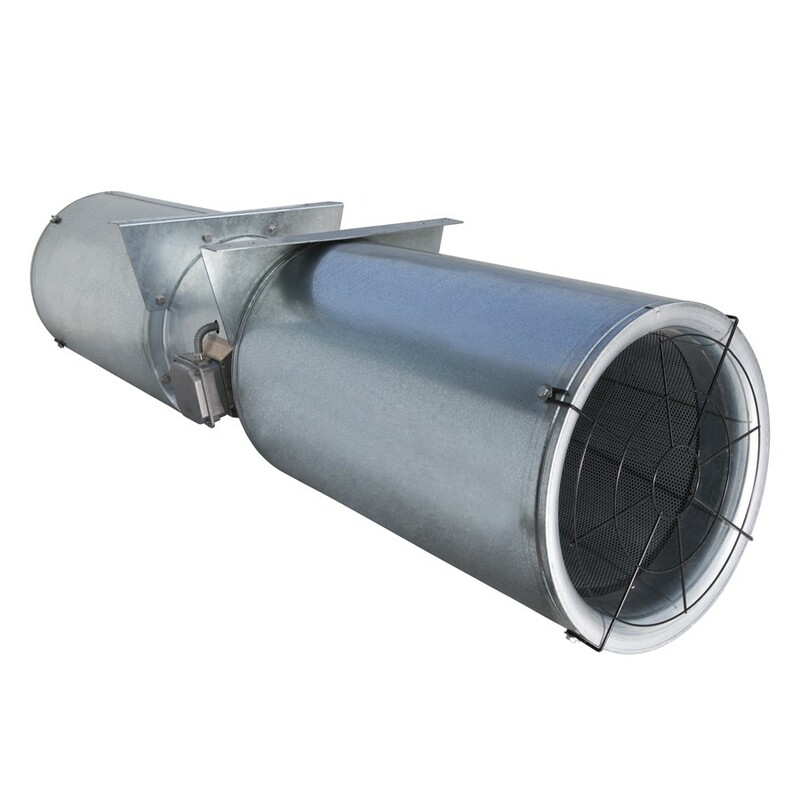 Axial jet fans to induce air movement in enclosed car parking, tunnels and large spaces. Suitable for ventilation and one off emergency smoke operation at F400 or F300. TJHT series: 315 to 630mm, fully reversible. TJHU series: 315 to 400mm, unidirection. Impeller with 6 (TJHT) or 7 (TJHU) blades. Fan approved in accordance EN12101-3. For transportation, size up to 400 is supplied complete. Diameter from 450 to 630 can be supplied in 3 pieces. TJHT serie: IEC, from 80 to 160, 3 phase 400V-50Hz, IP55, Class H, F400-120 and F300-120. TJHU serie: IEC, from 80 to 90, 3 phase 400V-50Hz, IP55, Class H, F400-120 and F300-120. Class F at F200-120. Inlet guard and steel discharge deflector for unidirectional airflow. Inlet and outlet steel discharge deflector for reversible airflow.